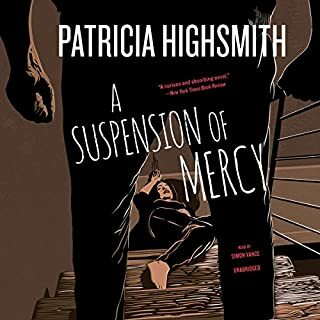 In A Suspension of Mercy, a masterpiece of noir fantasy, Highsmith revels in eliciting the unsettling psychological forces that lurk beneath the surface of everyday contemporary life. 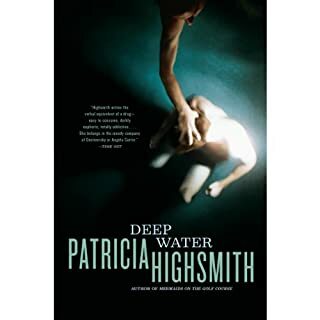 In Deep Water, set in the small town of Little Wesley, Vic and Melinda Meller's loveless marriage is held together only by a precarious arrangement whereby in order to avoid the messiness of divorce, Melinda is allowed to take any number of lovers as long as she does not desert her family. Eventually, Vic tries to win her back by asserting himself through a tall tale of murder - one that soon comes true. In This Sweet Sickness, David Kelsey has an unyielding conviction that life will turn out all right for him; he just has to fix "the situation" of being in love with a married woman. Obsessed with Annabelle and the life he has imagined for them, David prepares to win her over, whatever it takes. In this riveting tale of a deluded loner, Highsmith reveals her uncanny ability to draw out the secret obsessions that overwhelm the human heart. For two years, Walter Stackhouse has been a faithful and supportive husband to his wife, Clara. But she is distant and neurotic, and Walter finds himself harboring gruesome fantasies about her demise. When Clara's dead body turns up at the bottom of a cliff in a manner uncannily resembling the recent death of a woman who was murdered by her husband, Walter finds himself under intense scrutiny. Falsely convicted of fraud, the easygoing but naive Philip Carter is sentenced to six lonely, drug-ravaged years in prison. Upon his release, Carter is a more suspicious and violent man. For those around him, earning back his trust can mean the difference between life and death. In Patricia Highsmith's debut novel, we encounter Guy Haines and Charles Anthony Bruno, passengers on the same train. But while Guy is a successful architect in the midst of a divorce, Bruno turns out to be a sadistic psychopath who manipulates Guy into swapping murders with him. 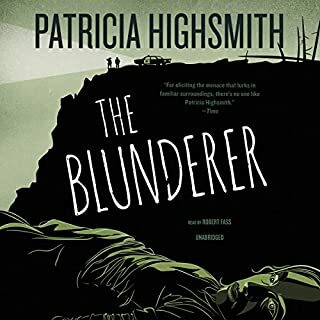 As Bruno carries out his twisted plan, Guy is trapped in Highsmith's perilous world - where, under the right circumstances, anybody is capable of murder. 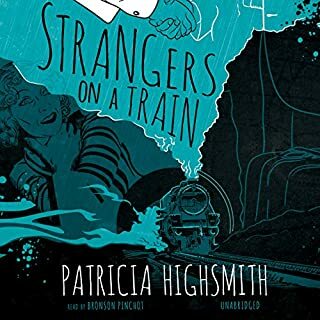 The remarkable renaissance of Patricia Highsmith continues with the publication of Patricia Highsmith: Selected Novels and Short Stories, featuring the groundbreaking novels Strangers on a Train and The Price of Salt as well as a trove of penetrating short stories. With a critical introduction by Joan Schenkar, situating Highsmith’s classic works within her own tumultuous life, this book provides a useful guide to some of her most dazzlingly seductive writing. The great revival of interest in Patricia Highsmith continues with the publication of a novel that will give dog owners nightmares for years to come. 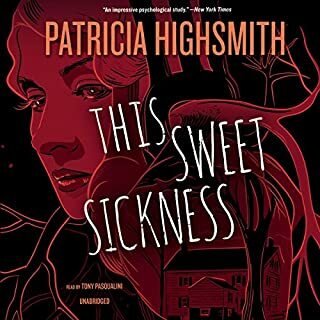 With an eerie simplicity of style, Highsmith turns our next-door neighbors into sadistic psychopaths, lying in wait among white picket fences and manicured lawns. 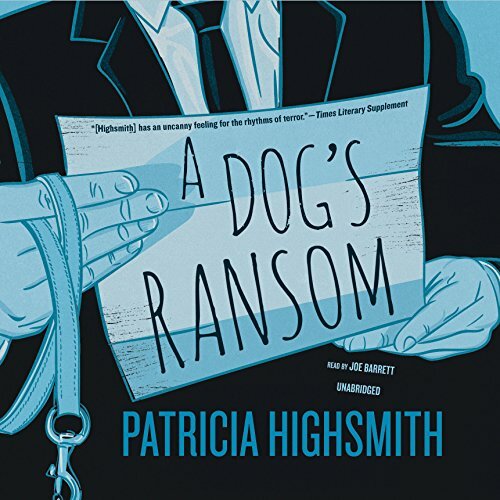 In A Dog's Ransom, Highsmith blends savage humor with brilliant social satire in this dark tale of a high-minded criminal who hits a wealthy Manhattan couple where it hurts the most - by kidnapping their beloved poodle. 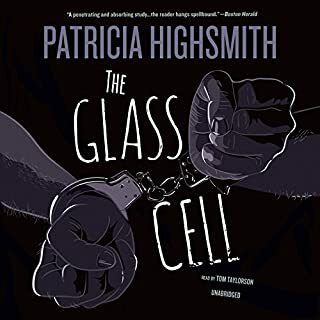 ©2015 Patricia Highsmith (P)2015 Blackstone Audio, Inc.